Play Irish Coins™ online for free now! Play Irish Coins™ and head to the land of the lucky leprechaun. There you’ll find lush green meadows, shamrocks, toadstools and a well full of golden Twist coins! Ready to try your luck across five reels and 20 win lines? The aim of Irish Coins™ is to land five matching symbols side by side on a win line that runs from left to right. Find a golden Wild Coin and it could bring you unimaginable luck across the reels. As a Wild symbol it can substitute for every winning symbol except for the Scatter. Land three Well symbols on the reels in a single spin and you’ll hit Free Game gold! Three Well symbols trigger 7 free games, four trigger 10 free games, and five trigger 20 free games. Keep an eye out for the violet Well symbol that only appears on the fifth reel. If it forms part of a Scatter combo, it’ll double or even triple the number of free games won, meaning up to 60 free games could be yours! The Irish Coins Feature may begin at random in both the regular game and Free Games. 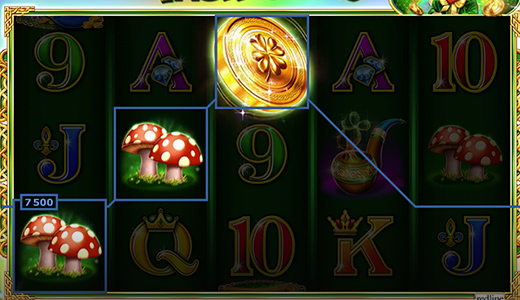 You can win up to 15 additional Wild symbols and pocket your winnings as soon as they have been placed on the screen. Welcome to an evergreen paradise packed with winnings! Everything here is green: the rolling hills, four-leaf clovers, lush meadows and the lucky leprechaun. In fact, even the Twists you’ll find scattered among the gold coins on the reels are the same colour. 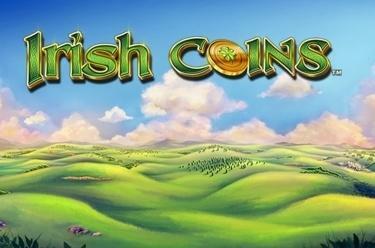 Irish Coins™ is a slot game full of fun, gold and sparkling Twists! So try your luck and see if you can pull up to 60 Free Games out of the magical wishing well!